Today is bittersweet for me. I am sad that today is the last day of our Summer Camp series. Can you believe it?? 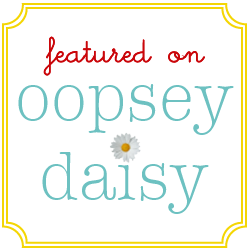 But I am also thrilled to feature on of my new favorite blogging friends. I love A Couple of Craft Addicts! 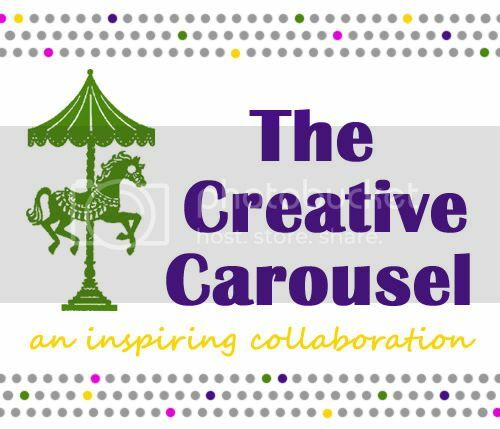 I met Heather at Creative Estates, and she is a gem!! She's sharing a fab idea today! I'm so happy to be participating in Summer Camp! I'm Heather from A Couple of Craft Addicts. I'm a wife to a wonderful husband and mommy to a sassy two-year-old girl. 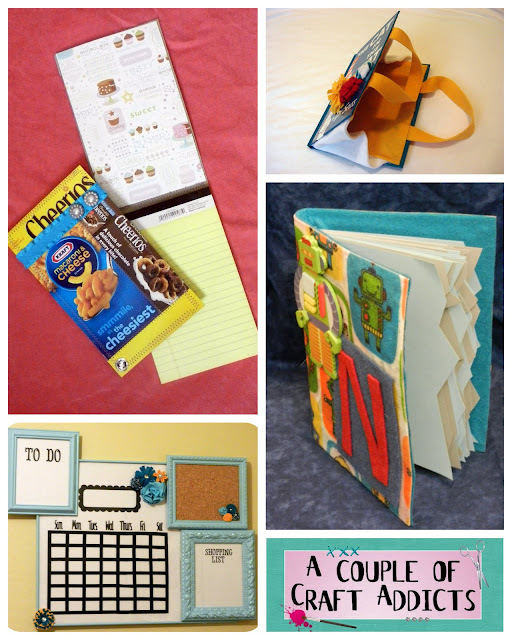 My dear friend Jessica and I enjoy sharing kids crafts, recipes, sewing tips, and lots of fun DIY projects at A Couple of Craft Addicts. 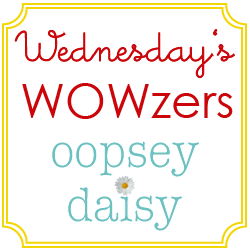 I am a big fan of Oopsey Daisy and had the pleasure of meeting Alison earlier this year. She is darling in person! Thanks for letting us join in on the fun this summer! My daughter loves to read books. Most times when she is nowhere to be found, I can usually discover her sitting in her room surrounded by piles of books as she flips through the pages. Sometimes I spy on her reading stories to her dolls. Regardless of the book she is reading I typically hear the same story - "Once upon a time there was a princess. The end." In addition to being girly and obsessed with princesses, my daughter is really into dinosaurs! We absolutely adore Jane Yolen's dinosaur books, and we were really excited to share a fun story and play date with my daughter's favorite friends this week. This book is about naughty dinosaurs that know just the right way to express love to their mommies and daddies. We invited a few friends over to share our book and have some fun. 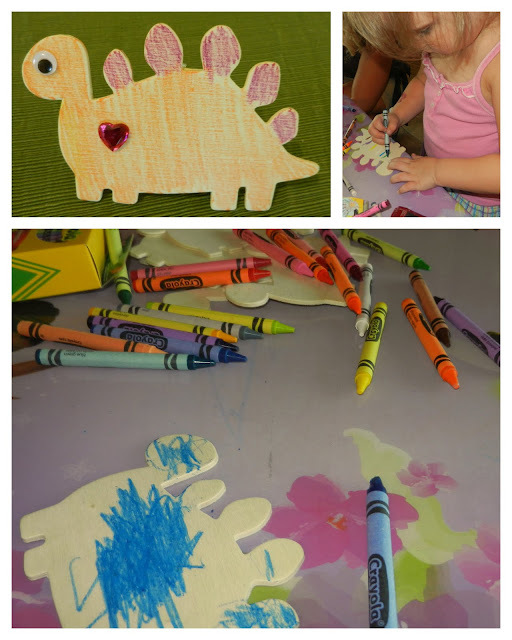 I used cute dinosaur printables from Smitten Blog Designs to add the dino decor to our play date. The printable party pack did not include a non specific banner so I used the images to create my own. 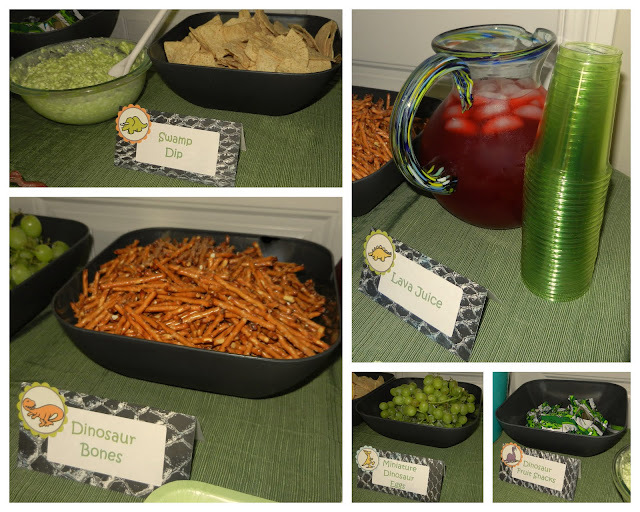 We had a lot of fun dinosaur related food! To create the food labels I printed directly onto address labels and then stuck them on folded cardstock. I used the cupcake toppers from the party pack to make them cuter. Our play date was before lunch so I tried to avoid sugary snacks for the kids. Our friends at the play date ranged in age from six months to five years old. I thought a coloring craft would easily take care of the age gap. I purchased small wooden dinosaurs from Michaels and decided to use crayons instead of paint or markers to avoid the mess. Since our book was about expressing love, I put out heart stickers to embellish the dinosaurs. Glue sticks were popular at the crafting table but I'm not sure I saw any googly eyes actually glued to the dinosaurs! In honor of school starting soon I gave each guest a dinosaur notebook as a thank you for coming to our play date. I made the notebooks using generic brand books (only 15 cents each! ), animal print paper, address labels, and the cupcake toppers from the printable party pack. The texture of the paper made these really fun! We are sad to see summer coming to an end but this was the perfect occasion for a play date! Thanks again for letting us participate! This is such a sweet playdate Heather!! 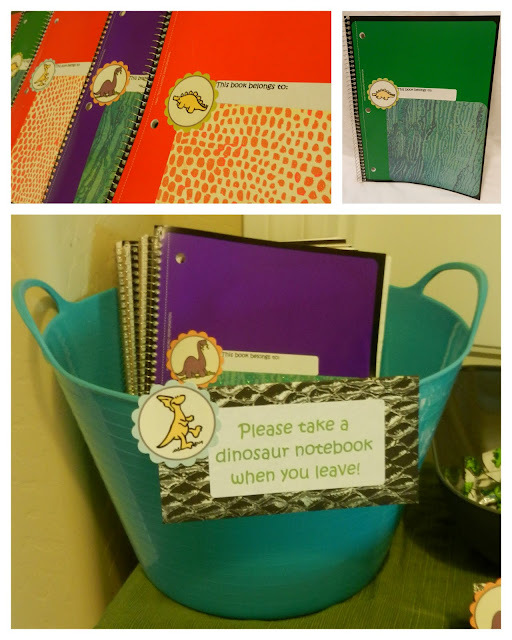 I love the dinosaur snacks – and the binders are such a sweet take home gift! So cute. Thanks for the feature!!! We had such a fun play date! What a fun playdate! 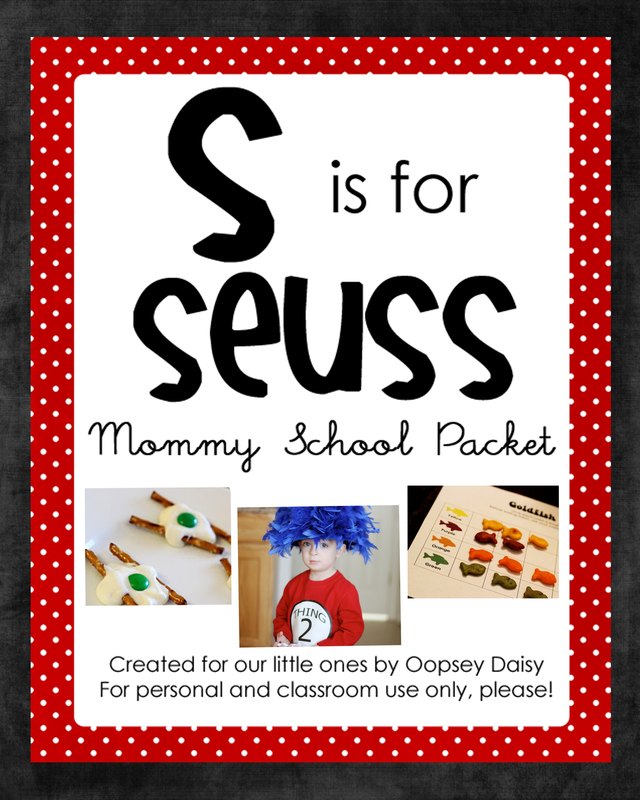 I love all of the names for the food, they’re so creative, and the printable banner is too cute! I’ll be looking for this book at the library.